Use the form below to inquire about Artistic Heritage Homestay at Andretta . Use the form below to reserve for Artistic Heritage Homestay at Andretta . This has one double and one single bedroom. 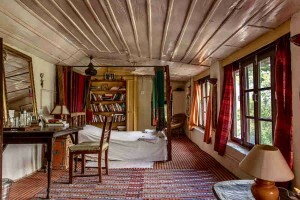 This comprises of two twin rooms. The Double room has a double bed and the twin rooms have two single beds. 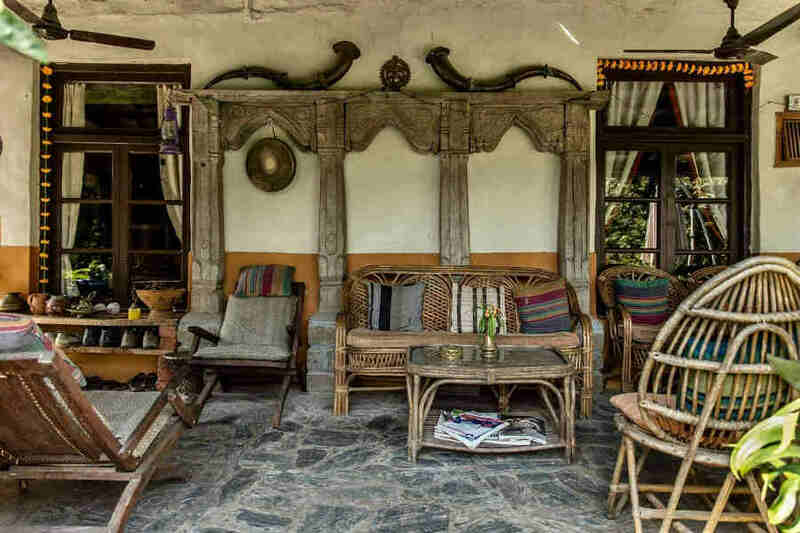 Enjoy a delightfully holistic retreat at the Artistic Heritage Homestay at Andretta in Himachal Pradesh. 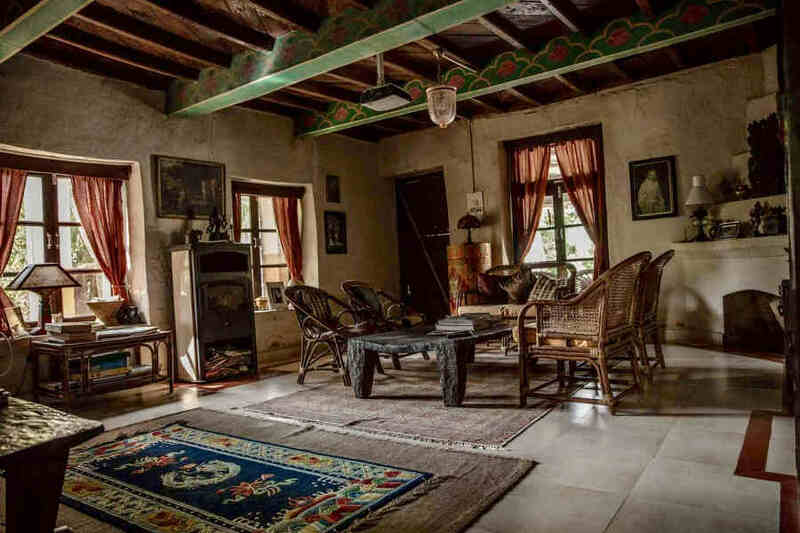 The artistic Heritage Homestay at Andretta is a multi-function residency perfect for travelers, backpackers, yoga enthusiasts, artists, and actors. 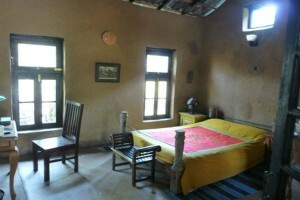 Think of it as a homestay that lies in a cluster of traditional, restored mud houses, yet with all modern amenities. 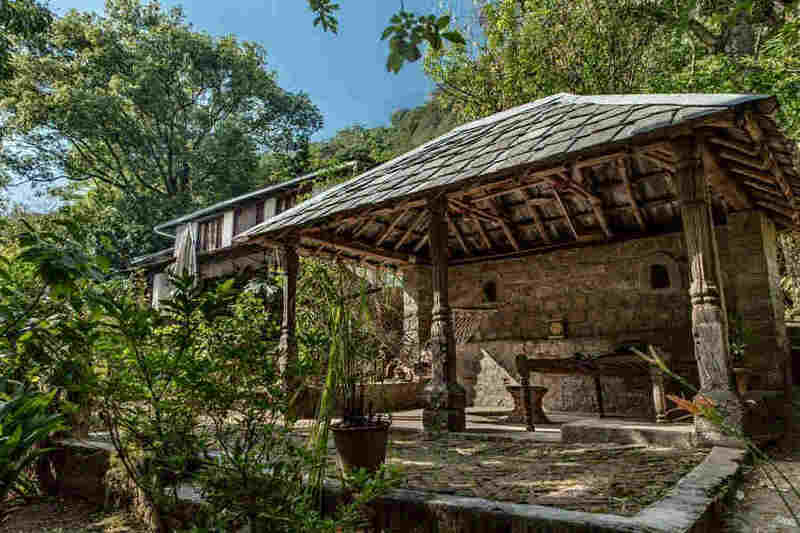 Its location at Andretta, the artist’s colony, is the highlight and that makes the place ideal for retreats and workshops, and the like. With a backdrop of the Shivalik Hills, it has an intricate network of bamboo groves in the jungle. This Heritage Homestay at Andretta comprises of aesthetically designed rooms in three categories. 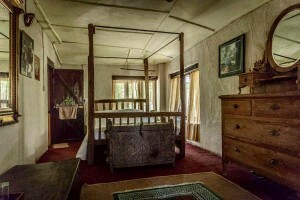 The Main House has rooms of different sizes, single and double rooms can be availed of or the accommodation can be combined as suites.The rooms all radiate a rustic charm unique to this property. 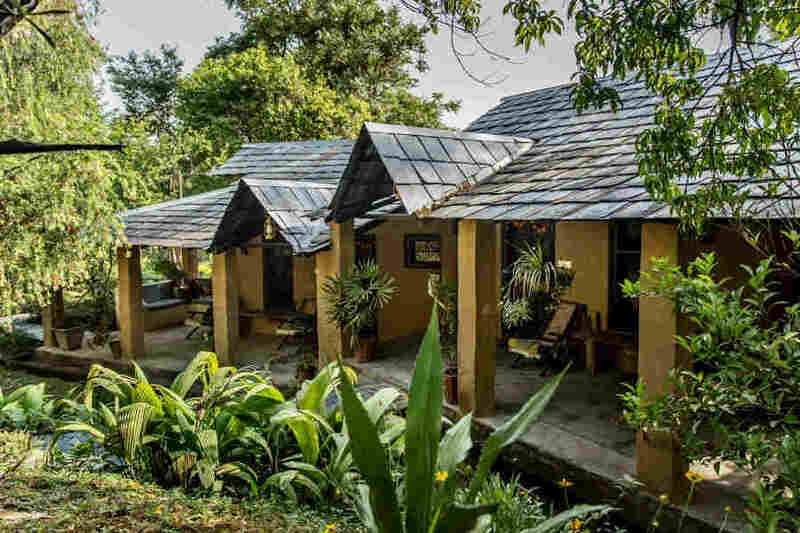 The Garden Cottages are built in a traditional way using mud bricks and bamboo. 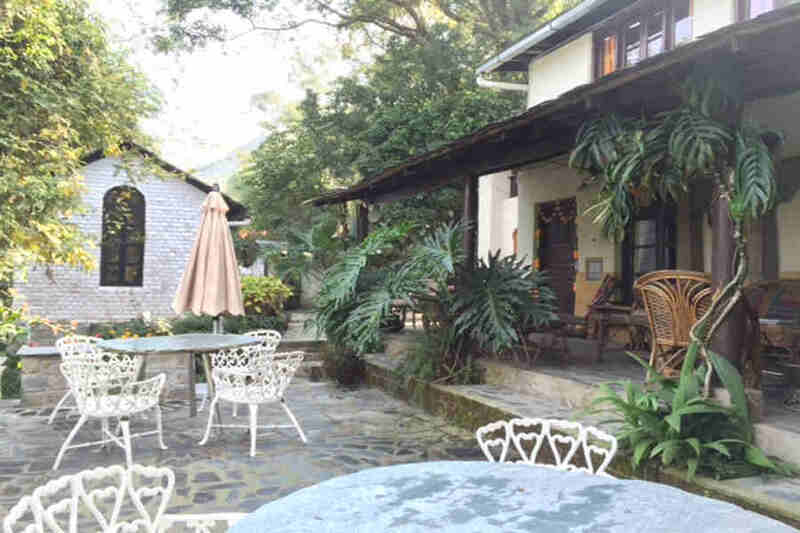 They are sure to enchant travelers who love to spend their days lounging about. The White House, which is made using mud and bricks, has bedrooms and en suite bathrooms. 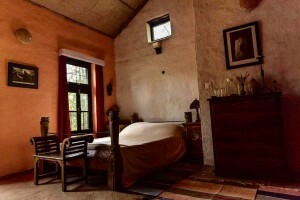 The mud walls not only give a cozy feel, but they exude a traditional vibe as well. 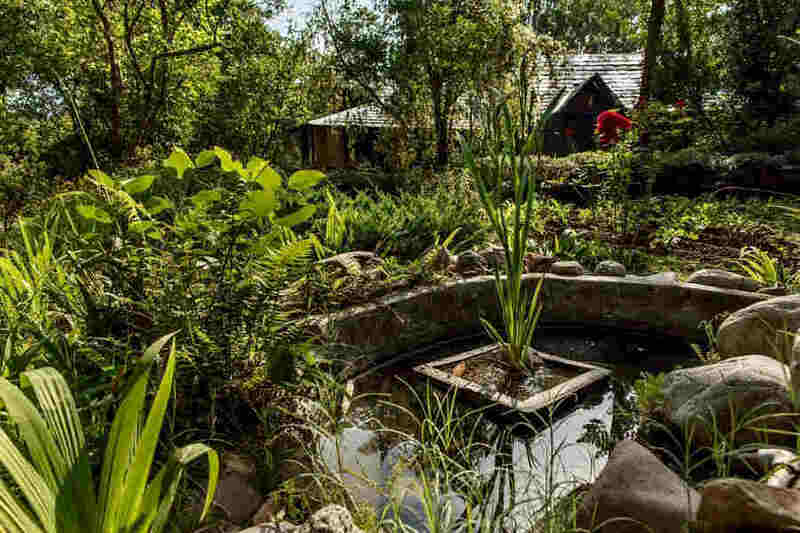 There is nothing like delicious food, made with home-grown, fresh vegetables; the latest addition to the Artistic Heritage Homestay at Andretta is an organic garden, where vegetables are grown. Both vegetarian and non-vegetarian food are served; for the health conscious, fresh juices are available on request. Food is served in the main house, while morning tea, coffee, and hot chocolate can be had in the kitchen of the White House. 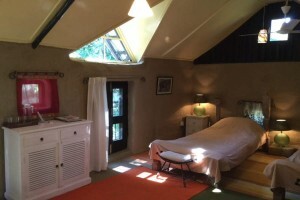 The Glass House Studio at the homestay is perfect for those looking for yoga retreats, acting workshops or theater residencies. Yoga sessions are conducted in batches all year round. 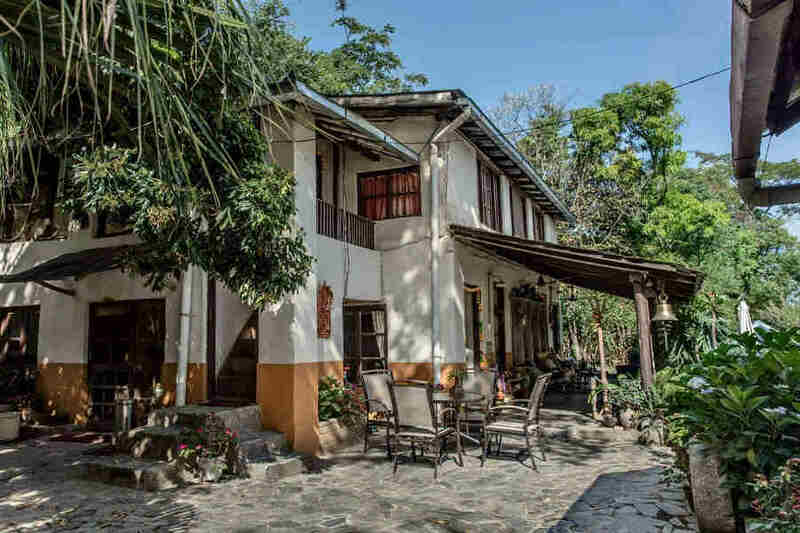 The homestay offers every facility a modern traveler needs and is a child-friendly property. From pottery sessions, tea estate visits, and bonfire, to walking tours and picnics that are arranged on request, the activities here will keep you engaged to the core. Additional occupancy charges for extra adults (Rs. 1450/-) and kids 6-12 years (Rs. 850/-per night). This includes breakfast. Clean dogs are allowed on the property. Accommodation and meals are free for kids below 6 years. Additional meals can be had at the following rates-Adults-Lunch(Rs.330), Dinner-(Veg-Rs.440, Non-Veg-Rs.600). Children 6-12 years-Lunch(Rs.220), Dinner-(Veg-Rs.300, Non-Veg-Rs.400). Bed and breakfast for drivers and staff are available for additional charges of Rs. 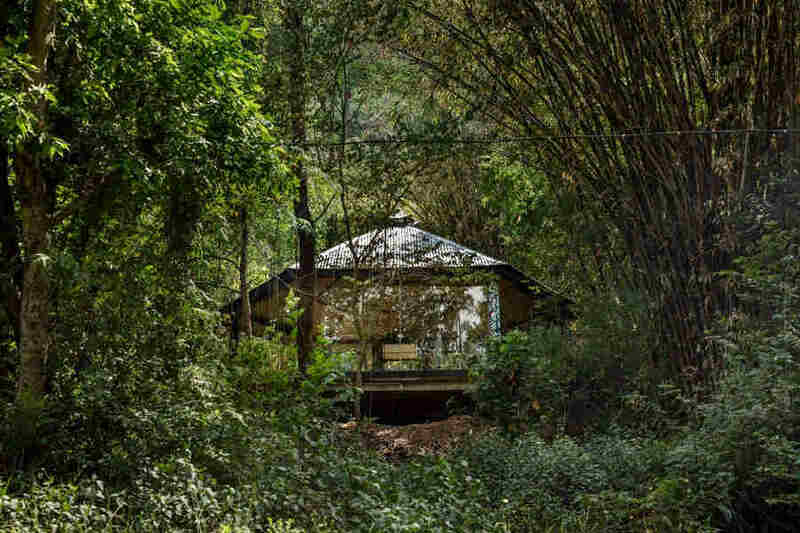 880/-per night. In order to secure the booking, a deposit is required. Full refund for cancellations done up to 30 days prior to the date of arrival. 50% refund for cancellations done up to 15 days prior to the date of arrival. No refund for cancellations done less than 15 days prior to the date of arrival. A plethora of options awaits you to make your stay interesting. For those who like tours, picnic lunches with prior booking can be organized. Tours like McLeod Ganj walking tour and traditional Himachal village sunset can be arranged as well. Those seeking adventure and looking for a thrilling experience could take up paragliding around Bir and Billing or white water rafting in the Beas River in the Kullu Valley. 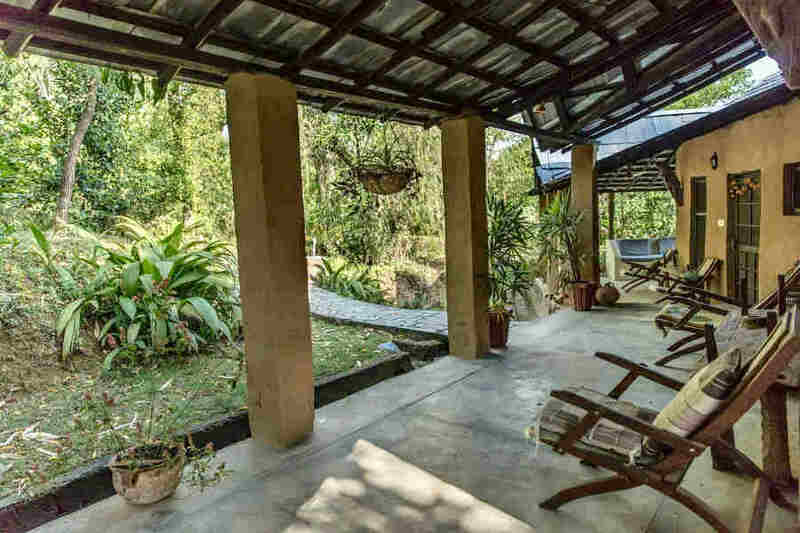 Trekking, mountaineering, and jeep safaris to the mountain top are other activities you can take up while you are at this heritage homestay. 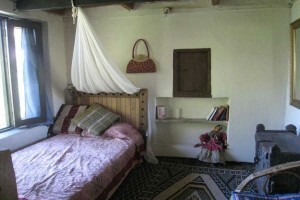 The homestay is situated very close to many famous monasteries and temples. Day tours can be organized to the Tibetan monastery Tashijong, the famous Baijnath Temple dedicated to Lord Shiva, the Sherabling Monastery rebuilt near the town of Bir, and the Norbulingka Institute of Dharamsala. On prior request, other temples and monasteries could be visited as well. These include the Bir, Dirru Sakya Monastery of the Sakya lineage, the historic Brijeshwari Temple, the Chamunda Mata Temple in the village of Dadh, the Jwalamukhi Mata Temple, and the famous Chintpurni Temple. The nearest airport from the homestay is the Gaggal Kangra Airport (50 km), in Dharamsala. The Bhuntar Airport in Kullu (150 km), Sri Guru Ram Das Jee Airport in Amritsar (250 km), and the Indira Gandhi International Airport in New Delhi (500 km) are the alternatives you can consider. If you are taking a train, the nearest railway station is Palampur Railway Station, which is about 12km from the homestay. The railway stations at Kangra (46km), Amb Andaura (105 km), Churaru Takarla (120 km), and Pathankot (120 km) are some other options for those who prefer a train journey. 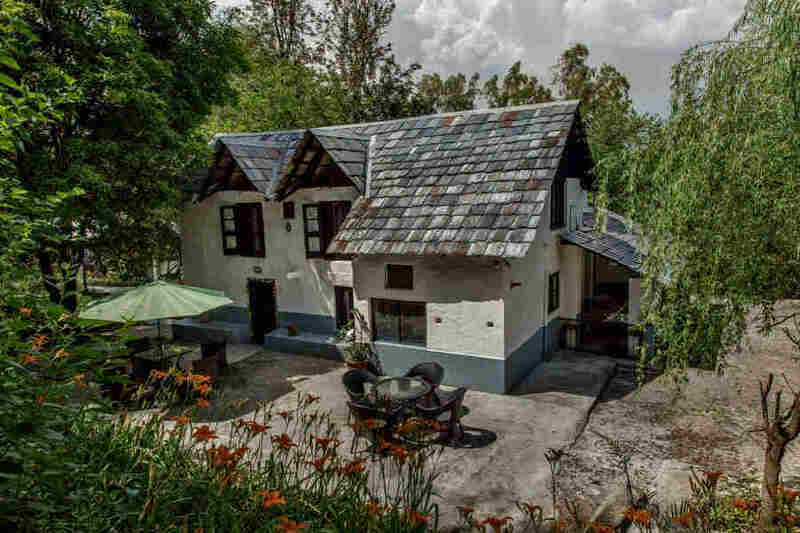 The property is situated about 12 km away from Palampur which enjoys good road connectivity to all major cities in and around Himachal Pradesh. 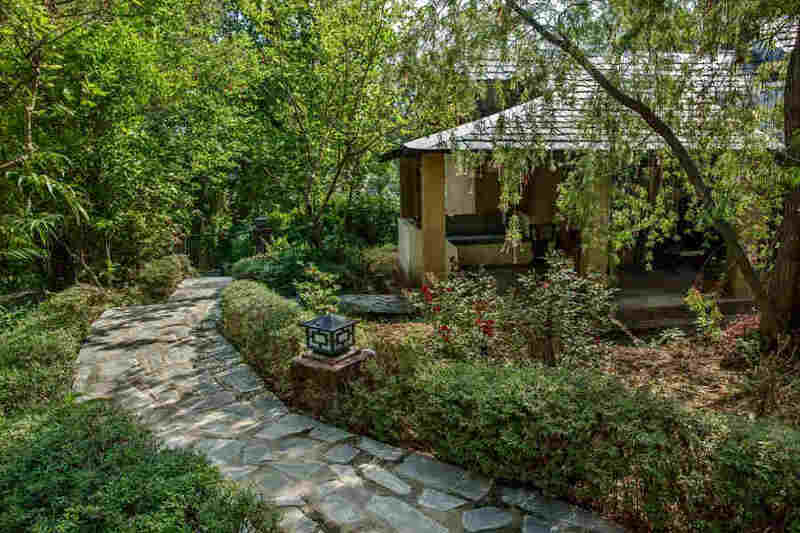 If you are driving from New Delhi, this heritage homestay is a 500-km-drive away. Some of the nearby towns and tourist destinations include Dharamsala (50 km), Leh (145 km), Kullu (160 km), Manali (200 km), and Shimla (205 km).